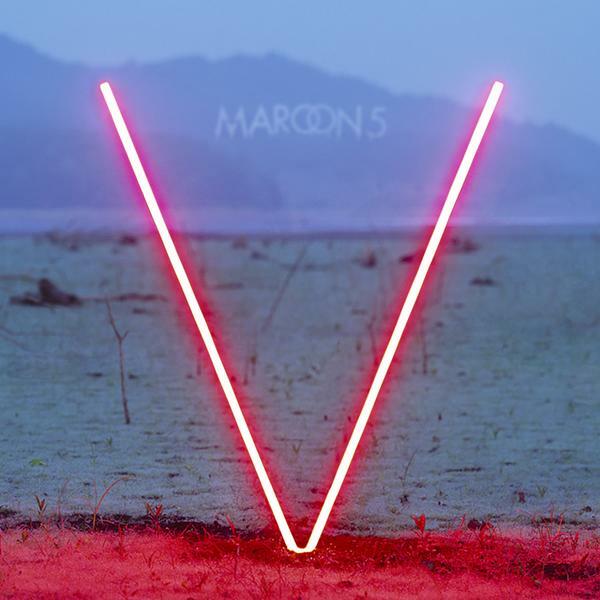 Maroon 5 are a band you can always count on and their fifth studio album “V” sees them continuing to deliver killer tracks. Over the past couple of years they have been experimenting with a more pop/electronica influenced approach. Fans always debate about whether they love the “old” or “new” Maroon 5 more but there’s no denying that they create infectious and great tracks. “Maps” kicks off “V” where “Overexposed” left off with a fun, pop track with an infectious hook that will have you singing along halfway through the first listen. New single “Animals” gives fans a sexier side of Maroon 5 with lyrics like “but we get along when I’m inside you”. Usually they are a bit more subtle with the lyrical innuendos but let’s be honest, no one is complaining. Third song in and “It Was Always You” changes the game plan for this album taking this pop song down a peg and stepping up the production. The way the song is structured is clever with the production building right up to the last chorus. Levine’s vocals play a crucial role with the falsetto highlighting his natural talent. This song allowed tracks like “Unkiss Me” and “Coming Back For You” find their place on the record. They aren’t as impressive as “It Was Always You” but they are still worth the listen and are enjoyable. “Sugar” could almost be mistaken for a Katy Perry song off her “Teenage Dream” album with the ultra pop beat and gooey lyrics but it makes for an infectious and fun song. My favourite song on “V” is the cheeky and cool “In Your Pocket” that focuses on a simple drum and synth beat accompanied by Adam Levine’s smooth and intriguing vocals. “Leaving California” is a grower and a song you would more expect to hear on a One Republic or The Script album. I found myself confused while listening to “New Love” and “Feelings” as I no longer felt like I was listening to a Maroon 5 album. These songs saw the rest of the band taking a backseat and allowing the pop restructure takeover. As much as I do love some of the new material I do miss when it was just a pop/rock band producing great songs and not worrying about keeping to popular trends. The album closes perfectly with “My Heart Is Open” which is striped back duet with Gwen Stefani. Both Levine and Stefani’s vocals are impressive and compliment each other well. “V” is an album that has been produced insanely well and thought out but in some songs it’s also the downfall. They lose the spontaneous feeling that you want to feel when listening to a band. You don’t want to listen to an over produced and manufactured version of a band you used to love and at times that’s how I felt. Maroon 5 need to return to their roots where it’s just a vocalist, drummer, guitarist and keys playing music that feels honest, raw and not pretentious. Don’t get me wrong, I loved quite a few tracks from this album but once I heard the emotion in “My Heart Is Open” that’s when it hit me. They need to go back to where it all began to rediscover themselves as a band and stop trying to fit into current trends and just focus on the music again. Otherwise this is an enjoyable album that will translate well in a live setting.